Gibi’s coverage is based on our cellular provider partner for most expansive coverage. Although Gibi can only be purchased in the United States at this time, Gibi works in North America (US, Canada, and Mexico). While your dog is any where in North America, you can see them from where ever you are around the world with an internet connected smartphone, computer, or tablet. For example, if you travel to Europe and your dog in doggy day care in the US, you can check on your dog’s location while you are in Europe. If you would like us to verify coverage in your area, contact us at support@gibitechnologies.com and provide your address. Does it matter if my smartphone does not use AT&T or T-Mobile? It does not matter if your smartphone or tablet uses AT&T, T-Mobile, Verizon, Sprint, or any other cellular carrier. Gibi’s cellular service is completely separate and independent from your smartphone or tablet’s cellular service plan. As long as your smartphone has an internet connection via cellular or Wi-Fi, you can access the Gibi app to see where your dog is located. Why does Gibi use cellular technology? Gibi uses cellular technology because it is the most reliable, well-established mobile communication network. Coverage is essentially anywhere and everywhere. 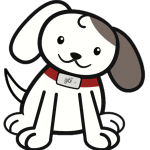 Gibi’s service does not depend on connecting with a base station at your home, or a base station being near your dog, or someone on a “community” or “crowd-sourced” network walking past your missing dog. Gibi just doesn’t want to leave anything to chance because pets are family. Does Gibi operate outside the United States, internationally? Gibi works in North America, but currently operates in the United States only. Sign up for our mailing list to be informed when Gibi is available outside the United States. Why does Gibi use GPS technology? Gibi uses GPS technology because it is the most accurate. Gibi devices receive signals from multiple satellites for most precise and exact accuracy. Second generation Gibi devices (model GIBI02) have improved accuracy in urban and wooded environments. Accuracy is how precise or exact we provide your dog’s location. Gibi‘s location accuracy is 10 feet OUTDOORS, where most pets go missing. That means we let you know your pet’s location within a 10 foot circle. When INDOORS, the accuracy varies depending on the construction of the building and the interference the building causes with the GPS signals. Gibi devices have the best accuracy in urban and wooded environments. Will I see my dog sitting next to me in my house? Most likely not, because houses and buildings cause interference with GPS signals. Gibi‘s location accuracy is 10 feet OUTDOORS, where most pets go missing. That means we let you know your pet’s location within a 10 foot circle. When INDOORS, the accuracy varies depending on the construction of the building and the interference the building causes with the GPS signals. Gibi’s range is unlimited and essentially anywhere and everywhere. You can be anywhere in the world and still see where your dog is in North America using the Gibi app with your internet connected smartphone, tablet, or computer. When you are on vacation or a business trip anywhere around the world, you can see on the Gibi app where your dog walker has taken your dog on his daily walks. No separate, limited range handhelds or base stations are needed.